For what was always going to be a tough tie, Manager Ivan Golac brought back the experience of Dave Narey and Dave Bowman. The home side had wind advantage in the first half and certainly had the Tannadice men pinned back in the opening twenty minutes or so. Two penalty claims, both against Maurice Malpas were rejected by the referee. However, it was United who contrived the first attempt on target with Craig Brewster firing in a shot on the turn which Martin saved diving to his left. 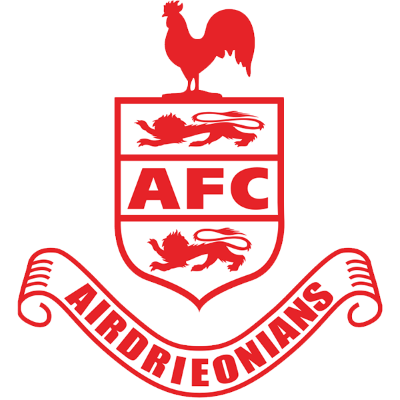 Airdrie may have continued to push forward, but on the break, United , and Nixon in particular looked dangerous with offside decisions twice thwarting the Trinidad & Tobago internationalist. As expected it was all very fast and furious with Airdrie twice going close as the interval approached. Former United striker lain Ferguson hit a ferocious 35 yard free-kick which Guido van de Kamp managed to claw over the bar at full stretch and from the corner Honor's header hit the outside of the post. The second half got off to a brisk start. 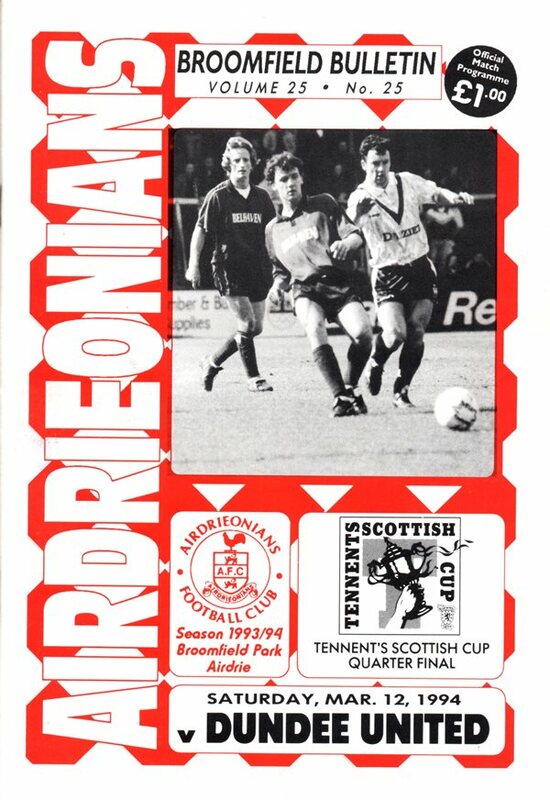 Just three minutes had elapsed when Jerren Nixon was brought down 20 yards from goal and Billy McKinlay powered in a 20 yard free-kick which Martin couldn't hold, but the Airdrie keeper recovered to block Brian Welsh's follow up effort. 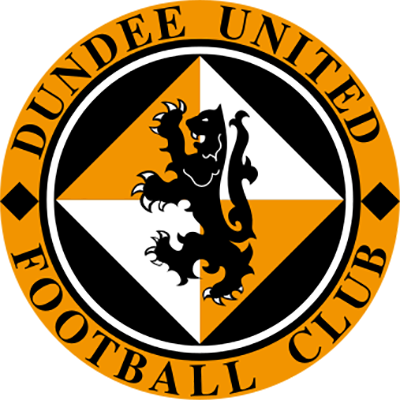 Tannadice hopes received a body blow ten minutes into the second half when Craig Brewster was sent off following a second yellow card for persistent fouling. The tension mounted and Jerren Nixon was sent sprawling in the box, but again the referee showed no interest in awarding a penalty. Almost immediately, Airdrie almost went ahead when Sandy Stewart's shot was deflected into the path of Boyle, but he stabbed his shot over from right in front of goal. Gordan Petric then tested Martin twice within the space of two minutes. First Martin tipped over his powerful header from a Dave Bowman free-kick and then Martin held his downward header from a Billy McKinlay freekick. 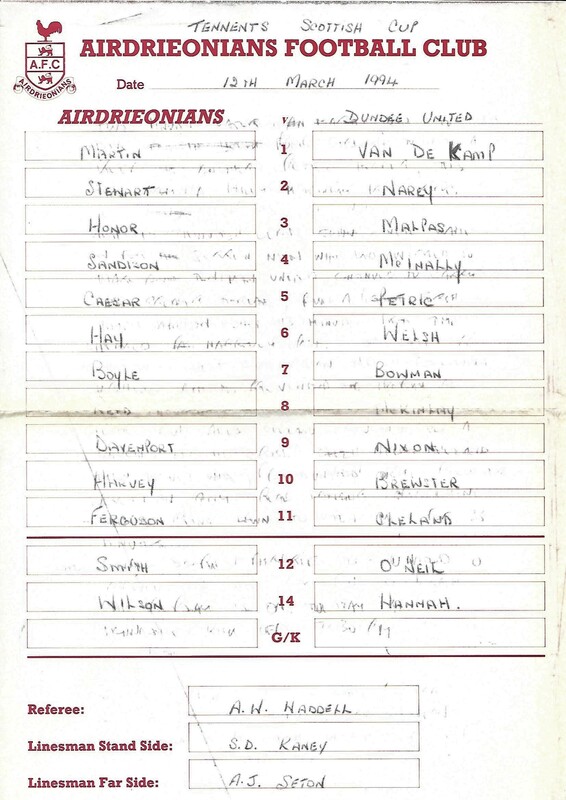 But apart from a first time shot by Jimmy Sandison which sneaked inches past through a ruck of players, neither side looked like getting the goal which would have prevented the teams having to do it all over again at Tannadice the following Tuesday.